We are updating our workshops for 2016! Have your say in what makes the ideal workshop experience by answering this survey. As a thank you, you will have the opportunity to enter in a draw to win free entry to the next workshop! Countless tips for making raw food work in the real world. + Ask questions, and meet and share with others. Eating more raw is like hitting the refresh button for every area of our life. Our bodies become cleaner, and our minds brighter, as our meals become more interesting and delicious. Knowing how to make simple and gourmet raw dishes that are appealing to the eye as well as sensational for the taste buds, makes healthy eating an attractive possibility for anyone. 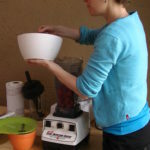 Diana Store has been offering regular classes in the techniques of how to prepare raw and living foods, since 2003. 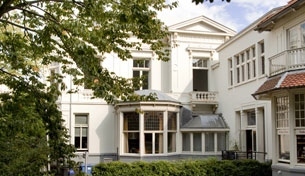 Centrum de Roos, PC Hooftstraat 183, Amsterdam. Do you want to learn how to prepare the most tasty, healthy, innovative cuisine on the planet? Have you tried un-cooking? This workshop will include an introductory talk as well as food prep demonstration. We will make maximum use of the time to fit in as many practical techniques as possible. 2 persons: 80 euro* including two meals and recipe sheets. This workshop is suitable for beginners as well as for people who already know something about raw foods. We’ll be focusing on how to make raw foods work in the real world. 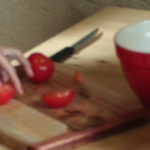 2 persons: 170 euro* including two meals and recipe sheets. Sign up to our newsletter to receive future workshop dates in your inbox. Cancellation Policy: For cancellation more than 14 days before the beginning of the workshop a full refund will be offered. For cancellation between 4 and 14 days of the beginning of the workshop 50% refund will be offered. For cancellation within 72 hours (3 days) of the beginning of the workshop no refund will be offered. This is because the venue cannot be cancelled at short notice, and because of the time and money spent preparing for the workshop. Thank you for your understanding! “Thank you for your enthusiasm and sharing of your knowledge about Rawfood. I came here to get inspired again and I am! I am looking forward to incorporating more raw food into my daily diet, and try out the recipes for myself, family and friends!” – Francis, Groningen. Diana Store transformed her health and energy levels after reinventing her diet in 1996. In the years previous to this, she suffered frequent colds and flus, poor sleep, low energy and little enthusiasm for life. All this changed permanently after adopting a grain free, vegan diet, high in raw foods, and she has never looked back since. Wanting to share the benefits with others, Diana changed career in 2003 to start her business ‘Raw Superfoods’ based in The Netherlands. Aiming to serve a world that is sick and tired of being sick and tired, Diana has used her talents in events promotion, recipe and product creation and as a teacher and writer, to spread her message. Diana has learned from and worked with the best in the field including Gabriel Cousens MD, David Wolfe and Brian Clement, director of the Hippocrates Health Institute. In 2009 Diana compiled and edited a 276 page collaboration book between these and other leading experts, called Raw Food Works, which offers a united view of guiding principles for a successful raw food diet. Join the newsletter for email updates. Lines 145, 170 of 197 stop Hobbemastraat or Museumplein.